* Please like my Facebook page for everything DIY baby/toddler – including crafts and activities on a budget! Thank you! I know this isn’t exactly about toddler crafts and activities, but as I got ready to make a new batch of wipes this past weekend, I thought I’d take a minute to share with you what I do. DIY (with the goal of saving money) is kind of my thing, and making these wipes has been a really good decision for our family. I started making baby wipes a year ago, when the twins had a lot of diaper rash and the store-brand wipes we bought didn’t seem to be helping. In fact, they were extremely drying on the babies’ skin. I was tempted to run a damp wet cloth over them after using the wipes. In addition to that, with twins, there were so many diaper changes in a day and we were going through wipes like crazy. Then, I found this post from Amber at Four to Adore. She ranted and raved about making her own diaper wipes and I decided to give it a try. One year later and it was a wonderful, cost-effective move for us. They aren’t reusable wipes obviously (and I do cross the line there…), but one half roll lasts us 3-4 weeks. Not only that, but the diaper rash has greatly improved and these wipes aren’t drying on baby bottoms. 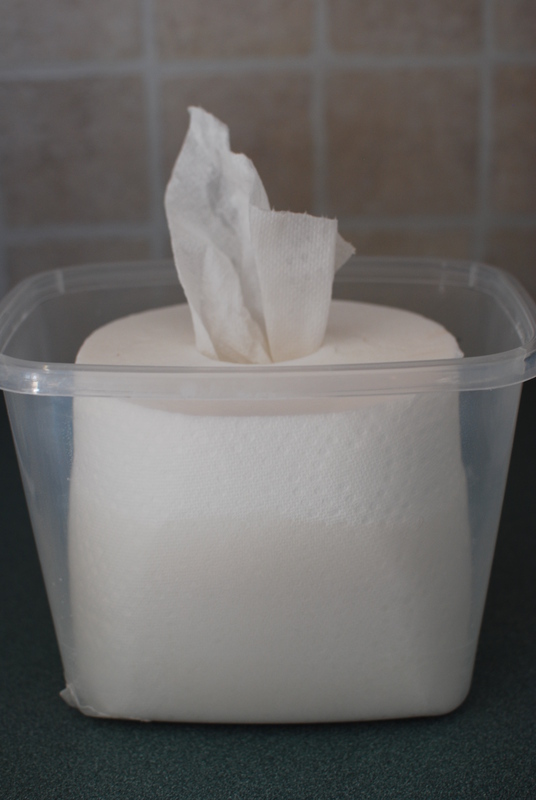 Making wipes takes me about five minutes, so it’s easy to do. Now, with regard to coconut oil – it’s like a super food, honestly. It has more purposes than you could even think of, including for cooking, as chapstick, diaper rash cream, moisturizer…you name it. And we use it for all of those things. 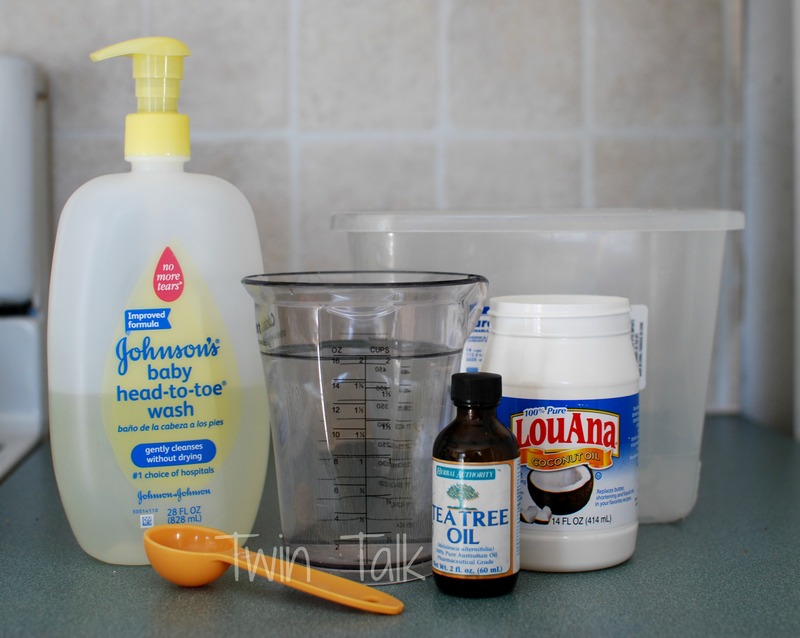 With cloth diapers, I can’t use Desitin or other creams, so I slather on coconut oil at most diaper changings to keep irritation at bay. I bought my coconut oil at the grocery store. As for tea tree oil – I bought in on Amazon. It’s not cheap, but you only use 2-3 drops, once a month or so. That bottle will last us YEARS. It’s strong stuff, too. It’s the same oil that’s found in Melaluca natural cleaning products – and it keeps the wipes from accumulating mold. It basically replaces the bleaching chemicals found in store wipes. 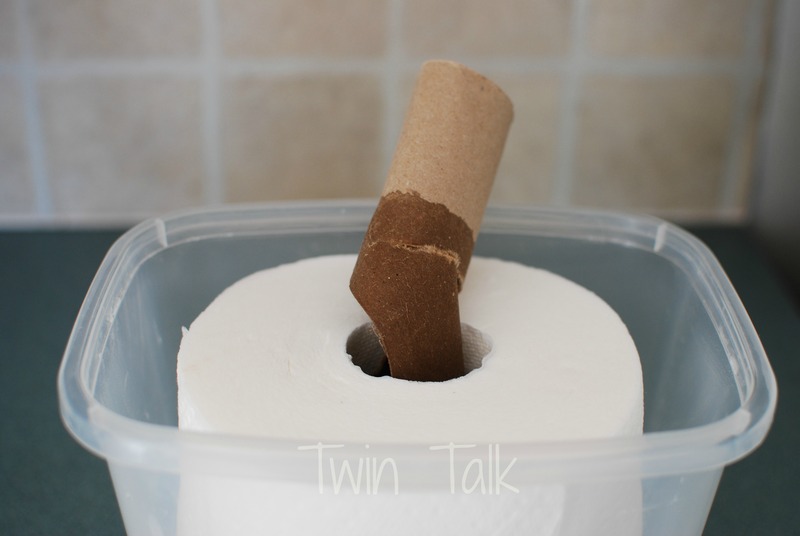 When I get ready to make wipes, I first cut a paper towel roll in half. These paper towels are Costco-brand so we save some money there. They are also select-a-size which is perfect, as I don’t need giant wipes. The select-a-size closely resembles the size of store wipes. Cutting it in half leaves me the other half for the next time I make wipes, so I only cut the rolls every other time. The container is from the dollar store. As you can see, I’ve written down the recipe on the lid so I don’t have to keep looking it up every time. If you notice, I added a little more water to this batch of wipes (2 cups). Either amount is fine – I just found that I liked the wipes to be a little more moist. After mixing all the ingredients in the bottom of the empty container, I then push the roll cut side down into the container and let it sit. My part is basically done! After anywhere between 20 minutes to a few hours (as the mixture soaks through the roll slowly), I pull up on the brown roll until it’s loose enough to come out. Sometimes I’ll forget and do other things and many hours later it’s soaked and ready to go. This time I was impatient and dragged it out sooner. The key is to mix the liquids in the container before putting in the paper towels, rather than putting the paper towels in first and then pouring the mixture on top of it. Once the roll part is pulled out, you’re good to go. I pull out the end piece that’s in the middle and voila. Wipes. This batch, as I said, lasts quite a while and never loses its moisture or gets moldy. It smells fresh from the tea tree oil and really, I’m a huge fan. That said, there are a couple things to keep in mind. They are paper towels, and therefore they are flimsy. Costco brand does NOT rip, shred, etc. which is amazing. Not tearing whatsoever. However, they’re thin like any paper towel would be. It doesn’t bother me at all, but I suppose it takes a little getting used to. 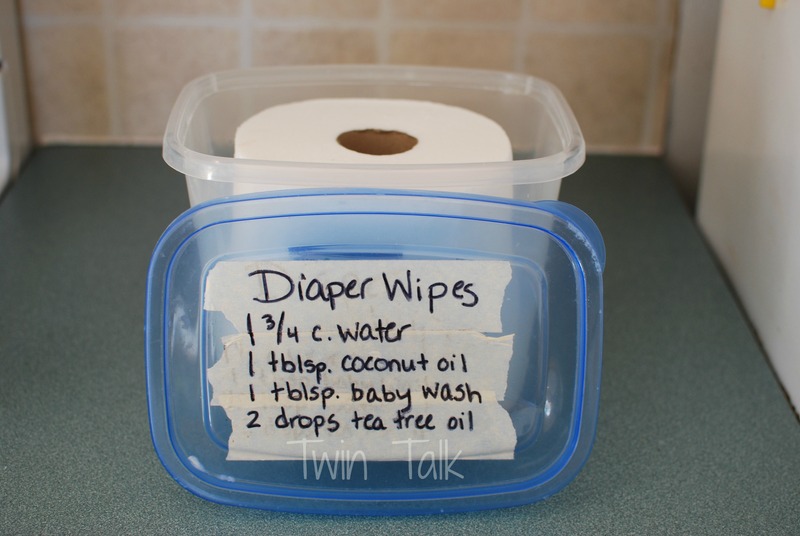 The other thing is that for me, I tried taking out a bunch and putting them in a reusable container in my diaper bag for when we’re out of the house, and I found the wipes would dry out pretty quickly. Because of that, I do keep a small package of store wipes for when we’re visiting relatives or out at the store. I prefer these wipes, of course, but it was worth the occasional purchase of store wipes. That’s it! 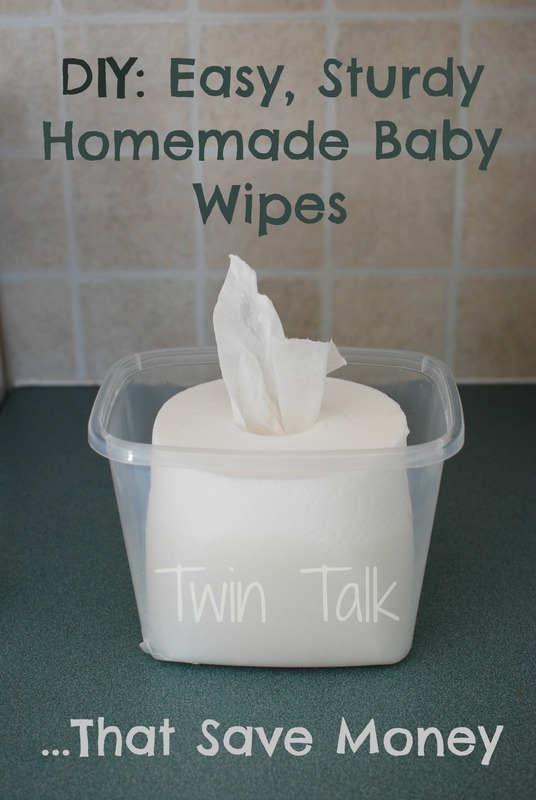 I would absolutely recommend making baby wipes to anyone – even for kids. There’s nothing in it that makes it a “diaper wipe” – it would be safe for cleaning faces and hands too! If you enjoyed this post, please also check out my DIY buckle pillow toy for toddlers, my DIY zipper board tutorial, and my DIY playdough without cream of tartar posts. I’m so happy you love these wipes as much as I do! I was very hesitant to try making them, but prefer them over store bought. 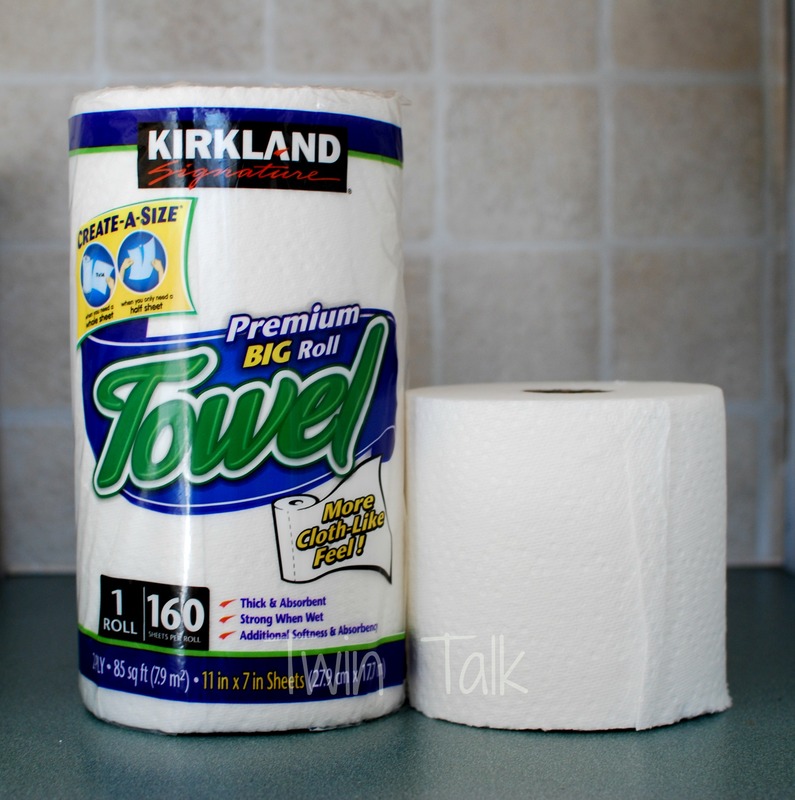 I use whatever paper towels coscto has cheapest and they all work fine, but I have to adjust the amount of water needed. I’ve never tried using coconut oil (I’ve been using baby wipes), but I’m a huge fan of the stuff. My latest coconut oil use is to drizzle over lunch sack popcorn. DELISH! Oooh, I’ve never tried it over popcorn! 🙂 Thank you for your comment, your recipe, and for following my little blog. 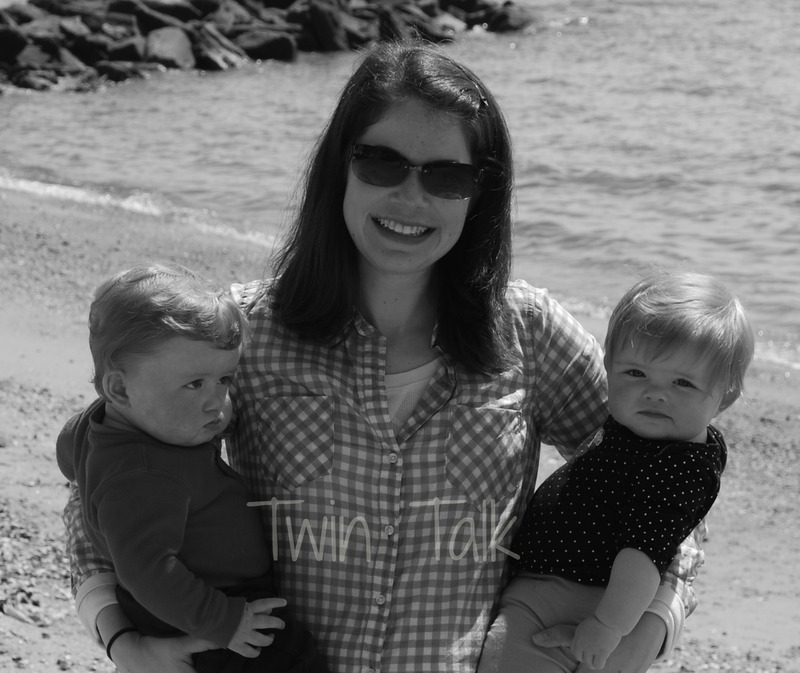 I’ve been following your story since when we were both undergoing fertility treatments! Your children are adorable! Ps- you have to try the popcorn! I have to warn you though, it’s addictive! Yes it’s me! Haha – I love your blog! You are one super mama for sure! Thanks for sharing! I saw this over at Four to Adore and it seems really doable! 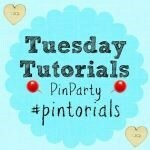 I’ve been using some of the activities from your site! We tried the pom pom and sticky paper (boys loved it) and some other ones! Keep sharing, you rock! Thank you!! I appreciate that. How are those temper tantrums coming? lol – that’s my life over here as well! They come and go! They keep us on our toes, that’s for sure! Great recipe! I promised myself that I am going to use only natural cleaners for me, my family and home. The result is that we don`t get ill. The difference is amazing! You should try. Thank you for sharing your recipe. Best regards!